Recently I was contacted by a PR agency asking if I would try out new Pillsbury products. I decided to do it because i had a few ideas on quick and easy appetizers as the holidays get closer. 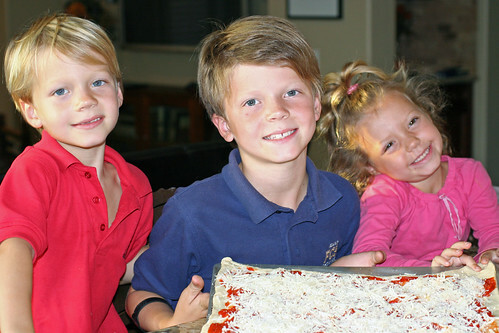 One of the products was their Pillsbury Pizza Crust and I ended up using this with my niece and nephews to make pizza. I love cooking with the kids. It is fun and exposes them to cooking. They love rolling out the dough, brushing on the sauce and sprinkle the toppings. I did this on a Friday night after work so I used Trader Joe’s pizza sauce which made this super quick and easy. Luke, Chase and Olivia were my sous chefs. 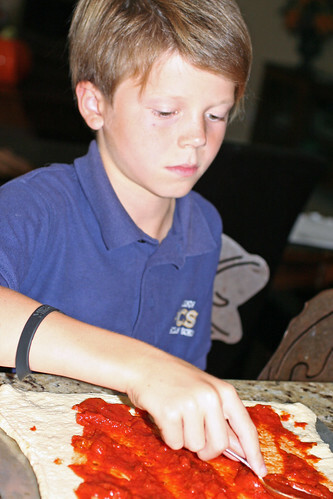 When we were making this pizza I remembered making pizza with Luke when he was four years old. 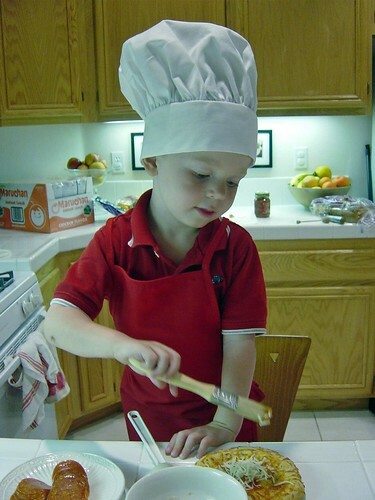 I was testing out recipes for a kids cooking class I was doing and he was my tester and model. You can see what a difference 4 years makes. Heat over to 375F degrees. Spray or grease a cookie sheet. 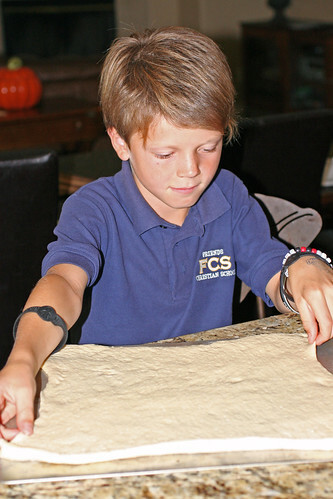 Roll out the dough and form a large rectangle. 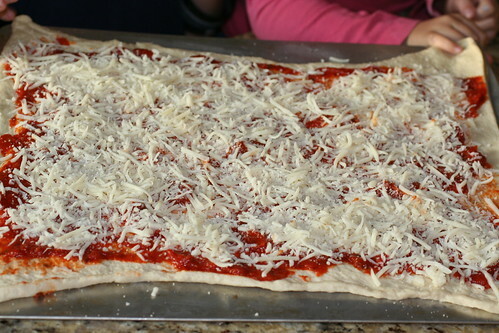 Spread the pizza sauce over the dough and then top with cheese. Add additional toppings if you desire. 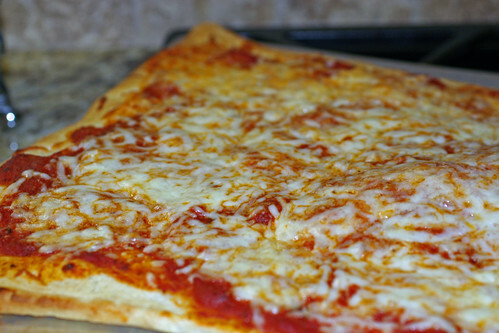 Place in over 10-15 minutes until dough turns golden brown and the cheese has melted.